Since I’m an enthusiastic swimmer, and since the summer London Olympic Games are rapidly approaching, I got to wondering which woman holds the fastest Olympic record in the 100 meter freestyle stroke. I discovered the current Olympic record in the women’s 100 meter freestyle swimming event is held by Britta Steffen of Germany with a time of 53.12 seconds. The record was set at the 2008 Beijing Olympic Games. • The swimming pool is 50m long, 25m wide and 3m deep. 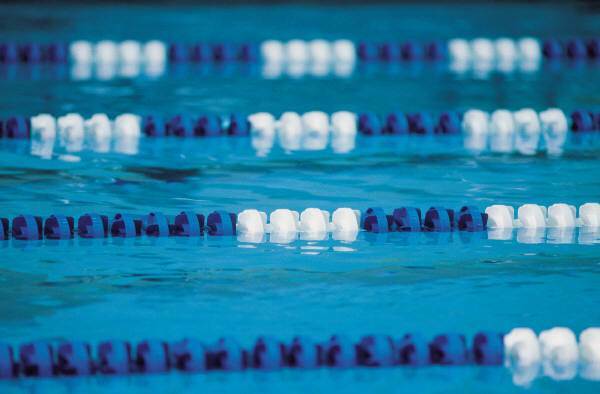 • It takes 1 complete lap to swim 100 meters. • 100 meters = 0.10 kilometers = 0.062 miles. • Speed = distance divided by time in hours; so time in hours = 53.12 seconds ÷ 3600 seconds = 0.014755 hours. So, Steffen’s speed = 0.062 miles ÷ 0.014755 hours = 4.2 miles per hour!!! Yikes! Steffen’s speed is amazing when you realize that the average time it takes a strong swimmer to swim freestyle in a pool for one mile is around 20 minutes — which is approximately 3 miles per hour!!! Wow!